Speaking to independent broadcaster CPR News on Saturday from aboard the Shahed, the Iranian aid ship heading for Yemen, journalist and peace activist Caleb Maupin emphasized that the international mission is aimed alleviating Yemenis' suffering amid Saudi aggression. 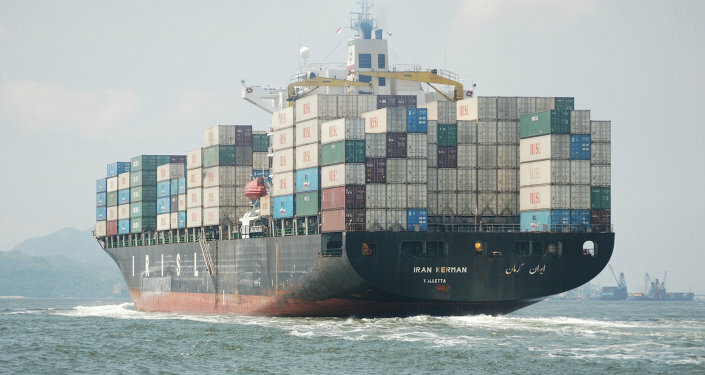 The Shahed, on its way to the port of Hodeidah, western Yemen, left Iran Monday with a load of over 2,500 tons of medical aid, flour, water and other supplies in a mission sponsored by the Iranian Red Crescent Society. In the course of his interview with CPR News, Maupin emphasized several times that his main aim has been to spread the message that the Shahed mission a peaceful, "international effort to bring aid to the people of Yemen," who are "desperately in need because they're being bombed by the Kingdom of Saudi Arabia." He noted that in addition to 50 Iranian doctors and medical technicians, the ship's crew includes "a delegation of peace activists from the United States, Germany and France." Recalling Saudi Arabia's attack on an Iranian humanitarian aid mission last month, Maupin warned that this is possible again, voicing his hope that "if anything happens –if there is an attempt to block our ship or anything worse, that people know what's actually going on, because already, before anything has happened, the US media is already distorting [the mission]." Maupin called Saudi Arabia's earlier campaign to block aid from the Red Crescent Society a blatant "violation of international law." Commenting on the renewal of Saudi Arabia's military campaign, which is estimated to have left over 4,000 people dead, Maupin noted that Riyadh is "not only bombing civilian targets like hospitals and schools, [but] also using white phosphorous, a chemical weapon in the form of a white powder which burns the skin." 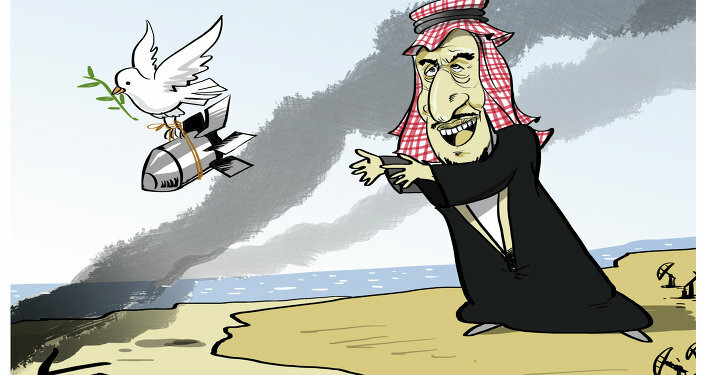 The journalist also noted that Washington shares some of the blame for Saudi aggression, noting that the US is refueling Saudi warplanes, and providing Riyadh with satellite data and command and control assistance. "What the Saudis are doing in Yemen is absolutely sponsored, supported and backed by the US government, which is involved in this ruthless, criminal attack on the people of Yemen," Maupin stressed. Saudi Plan For Hope? Nope! Maupin explained that despite Western media's portrayal of the war in Yemen as a Sunni-Shia conflict, "in reality, this is a struggle by the Yemeni people for democracy and independence. The previous president Mansour Hadi was not a democratically elected leader." Explaining that the Ansar Allah (Houthi) movement leads a coalition of Sunni, Shia and secular forces, including Marxists and Ba'athists, Maupin told CPR News that over 342,000 Yemenis have already joined people's militias, adding that the Saudi incursion only broadened support for the coalition. Ultimately, Maupin believes that "this is not a religious war but a war for independence, a battle for democracy by the Yemeni people who are trying to break free from the dominion of Wall Street and the Saudi regime." As far as the US is concerned, Maupin marked their assistance in the Saudi military campaign down to the fact that Yemen has huge untapped oil reserves, which he noted was cause for the US to fear a Venezuela scenario, where an independent government attempts to use its oil resources to develop its economy independently from Washington. "That's what the US is trying to suppress, [aligning] with the Saudi regime, which is bombing and destroying the country because they don't want it to break free and start developing itself, wanting it to remain the poorest country in the Middle East," Maupin noted. 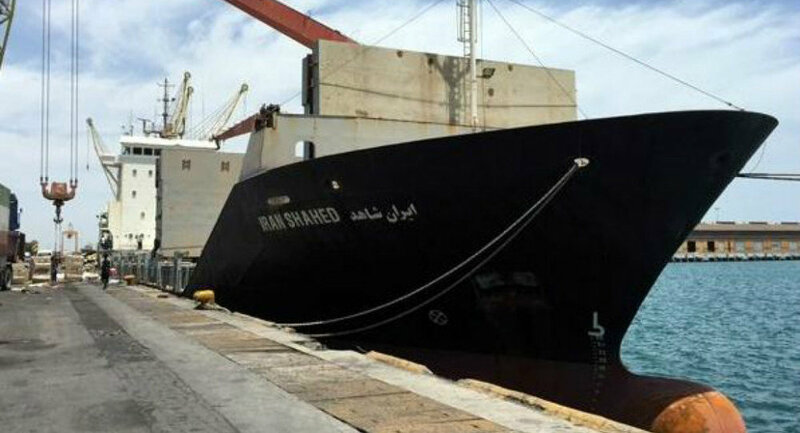 The Shahed aid ship, sailing past the coast of Oman on Friday, is expected to reach Hodaida on May 20. The Saudi Arabia-led coalition launched its bombing campaign against Yemen on March 26 in an attempt to drive out the Houthi fighters, who had earlier seized power in Yemen, and to reinstate fugitive President Mansour Hadi.